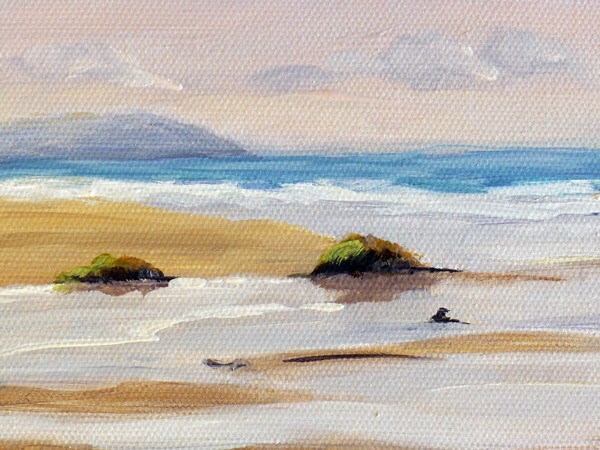 This painting of Freshwater West in Pembrokeshire looks south across the vast beautiful Freshwater West beach, and past some very inviting rock pools. One of Wales' most beautiful beaches, and just a little bit famous, ..it's where Harry Potter's shell cottage was built and filmed. 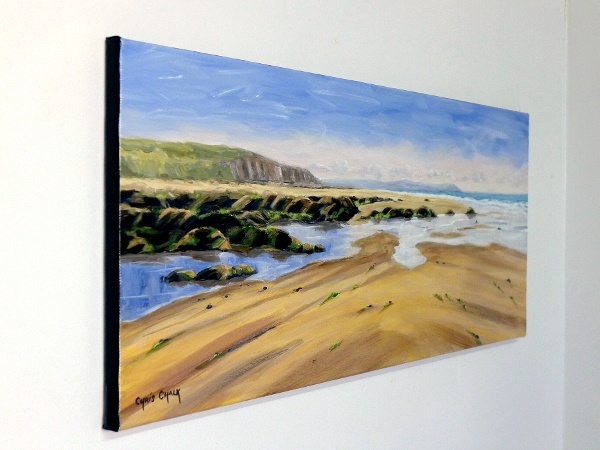 "Rock Pools at Freshwater West"